Our New Teacher articles let you get to know our new teachers as we welcome them to Challenge Charter Schools this year. This week, Marissa Sciacca from Class 102 tells us a little bit about herself and her teaching style, and why she may be a great person to contribute to bake sales. What is your favorite part of being a teacher? Sciacca: My favorite thing about being a teacher is working with the scholars and enhancing their knowledge in all subject areas. What has been a pleasant experience or surprise for you at Challenge Prep so far? Sciacca: A pleasant experience I have had at Challenge Prep thus far is working alongside Mrs. Lloyd. As a new teacher, I was extremely nervous as well as excited coming into this year. Mrs. Lloyd has made me feel extremely comfortable and confident. She is has made my transition into Challenge Prep smooth sailing. I am extremely lucky to be working and friends with such an amazing person. What is your favorite hobby or interest? Sciacca: My favorite hobby is cooking and baking. What one word or short phrase describes your focus for the 2018-19 academic year? The short phrase that describes my focus for the 2018-19 academic year is PRACTICE makes PROGRESS! Working with scholars in Class 102. We commenced with our first day of school on Monday, August 27th. Our middle school scholars were welcomed at our new Academic Campus at 1279 Redfern. 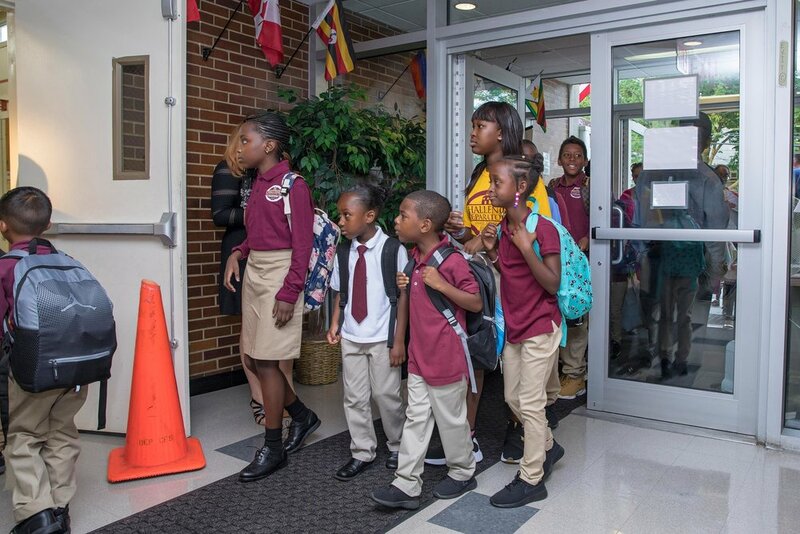 At our 710 Hartman Campus, our 1st through 5th Graders gathered in the gym to start the day while our Kindergartners were welcomed through the back courtyard into their classrooms. It was an exciting day to see returning and new scholars and their families with backpacks and school supplies in tow. K-5 Principal Griffin and 6-8 Principal Gordon led their teams of staff and teachers through the busy morning. 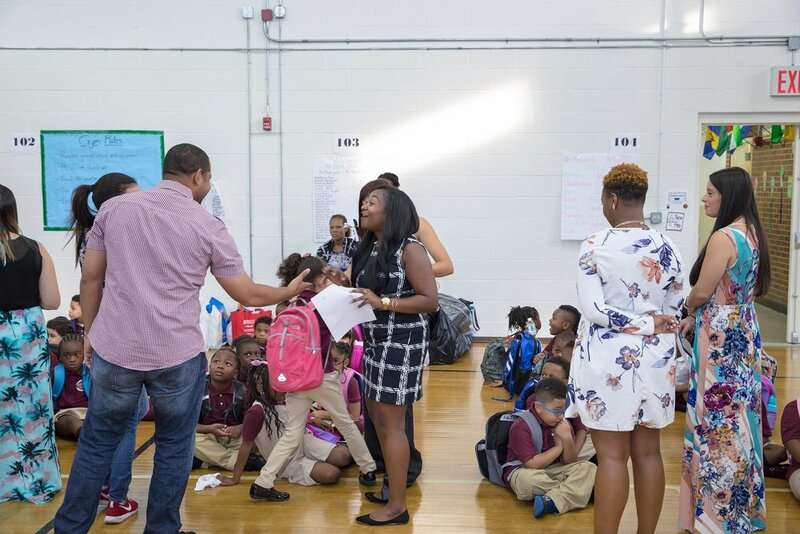 At the K-5 scholars had a half-day dismissal to give teachers some additional Professional Development time while at the middle school scholars went through their schedules changing classes and getting accustomed to the new building. Middle School #FirstDayofSchool pictures can be found in the parallel news story on the Challenge Middle website. Our K-5 Parent Orientation will be held Wednesday, August 29th. This very informative meeting is a must attend for parents and guardians. Please plan to attend to gain valuable insights and practical information to make it a successful year for your scholar. Please RSVP to Mrs. Vaughn, the K-8 Family Engagement Coordinator using the link in the flyer below or by calling her at (718)327-4040 Ext. 108. We can't wait to see you there! It was a beautiful day to have the annual Challenge Charter Schools Field Day, on Friday, June 22nd. We welcomed our almost 800 scholars, parent volunteers, staff, administrators and special guests to Bayswater Park for the festivities. The Parent Association and key staff members worked for months to plan the event, and our coaches created fun athletic field day stations to go along with the traditional bouncy houses and slides. Dr. Mullings, Founder and CEO served as host, thanking sponsors and special guests from our Board of Directors such as Ben Waxman and local leaders such as Councilman Donovan Richards. Local sponsors included Herman's Deli, Chipotle in Lawrence, McDonald’s in Five Towns, Stop & Shop, The Corner Donut Coffee Shop and CostCo. The June event celebrated the full charter for Challenge Preparatory Charter School with grades kindergarten through 8th grade represented. 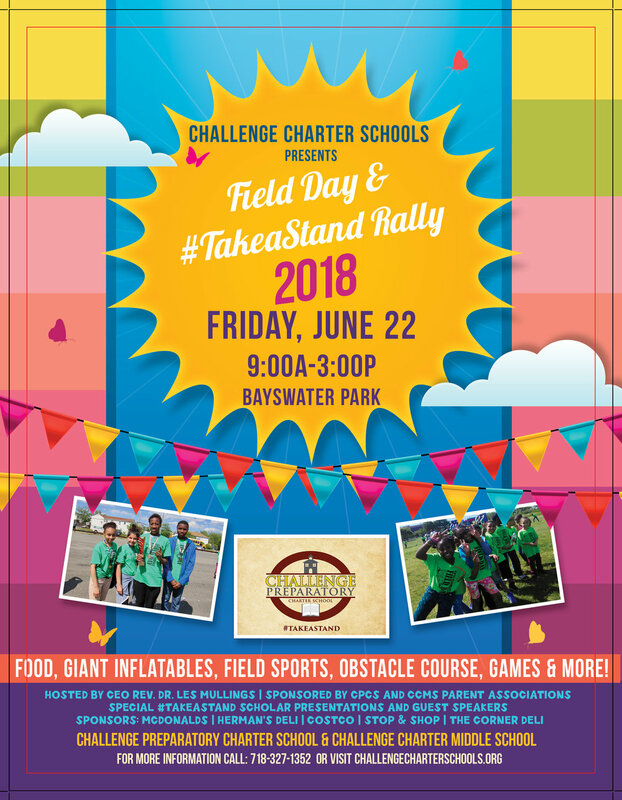 Challenge Charter Schools thanks our local sponsors and everyone who donated time, supplies, and food to make Field Day 2018 a success. We have two albums of photos from Field Day. For K-5 photos visit this link. For 6-8 photos click here. Challenge Charter Schools hosted its annual 5th Grade Graduation ceremony on Thursday, June 14th at Far Rockaway High School. Families, staff, and teachers gathered to cheer on the 5th Grade Class of 2018 as they looked toward their transition to middle school. Rev. Dr. Les Mullings brought greetings to the audience and reminded the scholars of how much their families and teachers helped them get to graduation day. He encouraged the graduates to strive to be their best selves and to pursue becoming who they want to be. Principal Nicole Griffin spoke of integrity, admonishing the scholars to embody that quality even though it takes great heart and courage. The strong care that the teachers of Challenge Prep have for their students was perhaps best displayed on graduation day by Ms. Boglio. She chose to miss her own graduation for her Masters in Teaching Children with Disabilities to be with her scholars at the 5th grade ceremony but celebrated the moment by donning her own cap and gown. The scholars and staff recognized her for her sacrifice with words of thanks and a bouquet of flowers. Dr. Mullings thanked special guests that attended including founding principal, Mrs. Sonja Webber-Bey and community supporter, Mrs. Sheila Johnson. Salutatorian, Harmony Cooper, and Valedictorian, Dorcas Taiwo, gave words of thanks and inspiration to the audience and their peers. Scholars performed poems and songs throughout the program, and 5th grade scholar, Joelle Johnson accompanied the final number, “See You Again,” on piano as the 70-plus graduating scholars sang to their families and mentors. The 2017-18 year has brought a 17% growth in Challenge’s middle school, and the first annual 8th Grade Graduation was held on Wednesday, June 27th. Candid photos of the event are on our K-5 Facebook page (posted June 15, 16, and 18), and professional photos of the graduation are on our Middle School website for our rising 6th graders here. We are so proud of our graduates! There is still time to save on registrations for our K-5 Summer Day Camp. Our annual day camp is from Monday, July 9th to Friday, August 3rd and features fun and educational activities in a safe environment. Campers will learn through arts, technology, sports and will go on field trips around the area. They will also have special entertainment from our school's mascot Champ the Cheetah the last week of camp. Champ heads up Project Character, teaching students important words and concepts to encourage having good character qualities. If you register and pay in FULL by June 15th, you save $50 off every camper. Siblings also receive a 10% discount. Only want one week of camp? You must pay by June 28th to get the one week option. Visit the camp website today for details and to download and print your required forms. We can't wait to see your K-5 Camper this summer! On Thursday, April 19th, 2018, Challenge Charter Schools celebrated it's biggest Lottery Night in the history of the school. With over 1800 applications, the event was moved from the gym at the school's 710 Hartman location to Far Rockaway High School to accommodate the many families attending that night. The K-5's mascot, Champ the Cheetah, made an appearance with puppeteer and magician Steve Pennington who warmed up the crowd. Greetings and welcome were offered by Founder and CEO Rev. Dr. Les Mullings who shared a taste of the future plan for Challenge Charter Schools. Mrs. Tameeka Richards, Director of Enrollment and Recruitment, also welcomed the crowd and explained how the evening's drawing would proceed. After a brief overview of the academic and extracurricular programs from K-5 Principal Nicole Griffin and 6-8 Principal Mavgar Mondesir-Gordon, various staff members and special guests helped draw and read each name which took over three hours. A translator and translation devices were available for families needing any assistance. Families were warmly welcomed by the school's teachers and staff, and Summer Day Camp information for grades K-5 was also made available. 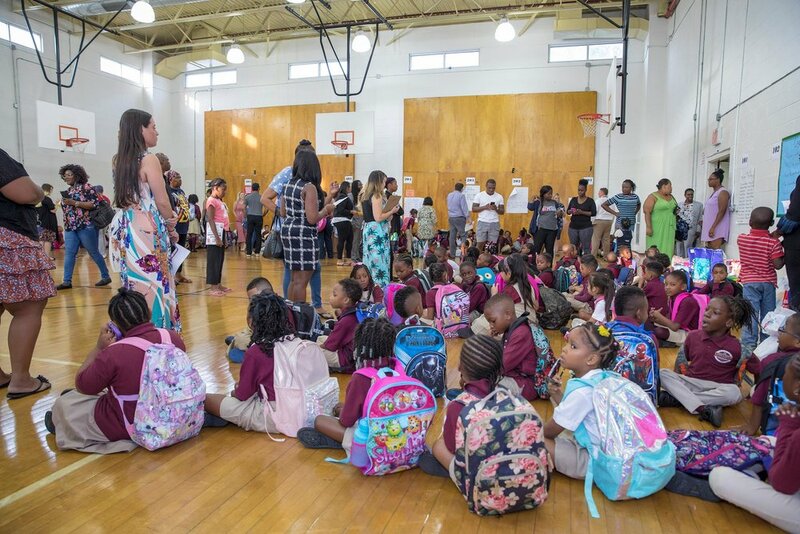 Each year, Challenge hosts the Lottery Night to fill the empty seats for Kindergarten and any other seats that are vacant in 1st though 8th grade. The seats are filled with a random drawing system with each name given a number in order it was drawn. All names beyond the available seats are placed on a wait list. With a rich foundation in music since its inception in 2010, a decision was made to add a wider scope of Performing Arts to Challenge Charter Schools at the start of the 2017-18 school year. Founder and CEO, Rev. Dr. Les Mullings always had a vision for adding high quality arts training to the many enrichment activities available to the scholars of Challenge Prep and Challenge Middle. To help facilitate that vision, he brought in Jamaican reggae singer, Nadine Sutherland as the Performing Arts Director in August of 2017. The premiere performance for the program, Winter Wonderland, was held in December of last year and featured students from 3rd to 8th grade. 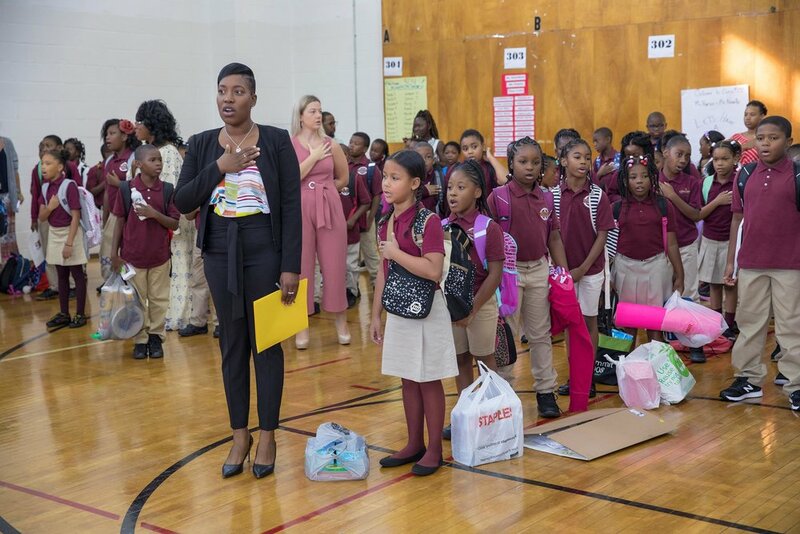 As she began her after school and weekend training of scholars, Ms. Sutherland simultaneously started looking to the community and greater city of New York for strategic partnerships. Sutherland jokingly calls herself a dancer who became a singer, and she quickly recognized that the arts scholars she was coming into contact with would need expert training to be able to get into Performing Arts High Schools. She visited Alvin Ailey American Dance Theater and connected with Cathryn Williams who is responsible for the Ailey Arts in Education and Community Program. Ms. Williams encouraged Challenge Charter Schools to look at their residency program. Now every student in Kindergarten through 8th Grade receive on-site professional dance training every week including Tap, Ballet, West African, and Hip Hop. Dr. Mullings hopes to continue the training for a minimum of five years saying, “Alvin Ailey is one of the most sought after and sophisticated professional dance theaters in our country, so it was natural for us to pursue a partnership for our scholars. We always seek to develop the whole person in our students, teaching them to thrive and grow to be great citizens. We provide educational opportunities where our scholars shine in and out of the classroom. “Unfortunately, Far Rockaway has been underserved for many years. In the past, we have been the ‘end of the line,’ an afterthought, but that is thankfully changing. 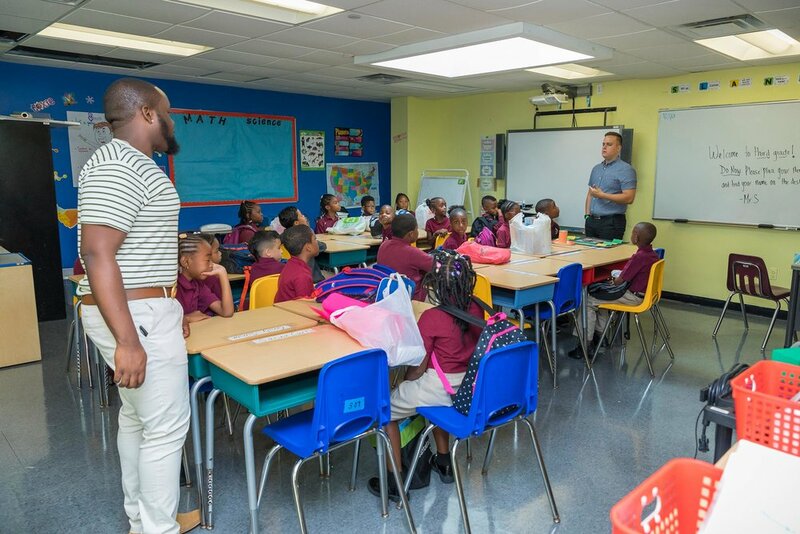 This special partnership with Alvin Ailey Arts in Education helps to give our children the same opportunities that students experience elsewhere,” Mullings concluded. In late February, Mullings was recognized for his ongoing community work and personal commitment to improving education when he was awarded the Queens Borough Spirit Award from the African American Heritage Committee and President Melinda Katz. During his keynote address at the event, he reminded the attendees that education is not a privilege but rather an important right for every child in America. 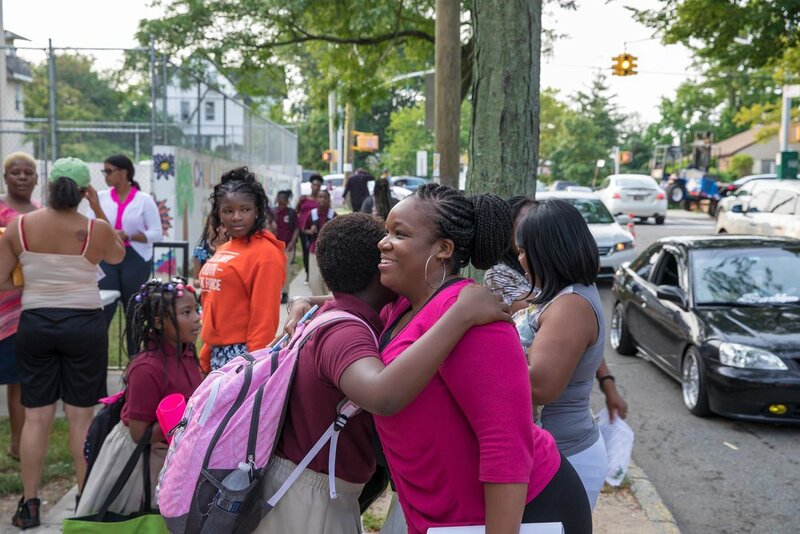 Eight years ago, it was the tireless vision of Dr. Mullings to develop and create the school to serve the needs of the Far Rockaway community that resulted in the opening of Challenge Preparatory Charter School. This academic year represents the realization of the full charter as 8th Grade was added for the first time in the school's history. The school is in high demand with over 1800 applications for the upcoming 2018-19 school year. With most of the applications from parents seeking spots for Kindergarten, Challenge Charter Schools is expanding. There are plans to add three additional Kindergarten classes by 2019 with 9th grade to follow for the 2020-21 school year pending authorizer approval. Challenge Charter students are already benefiting from the expanded programs and connections made through the addition of Performing Arts. Dancer Malachi Kingston received a full scholarship with the Dwana Smallwood Performing Arts Center after Sutherland landed him an audition with the founder. For four years, Dwana Smallwood served as part of the staff for Oprah’s Leadership Academy for Girls before returning to New York to build her thriving arts program. Following high school application season, several of the rising 9th graders have been accepted at the reputable Townsend Harris High School. In addition, the growing sports program now includes Swim classes in conjunction with the Rockaway YMCA. “The future is very bright for our school. 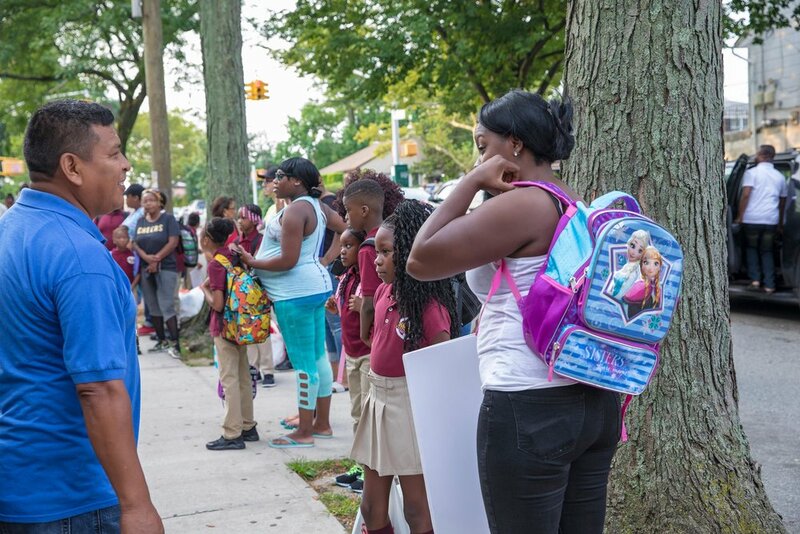 As we continue to enrich the lives and learning of our existing scholars, we stay committed to the remaining need in the community for better education for all children in Far Rockaway. I am so proud to lead our committed group of teachers and staff in this endeavor, ” said Mullings. The application deadline for the 2018-19 school year is March 29th. 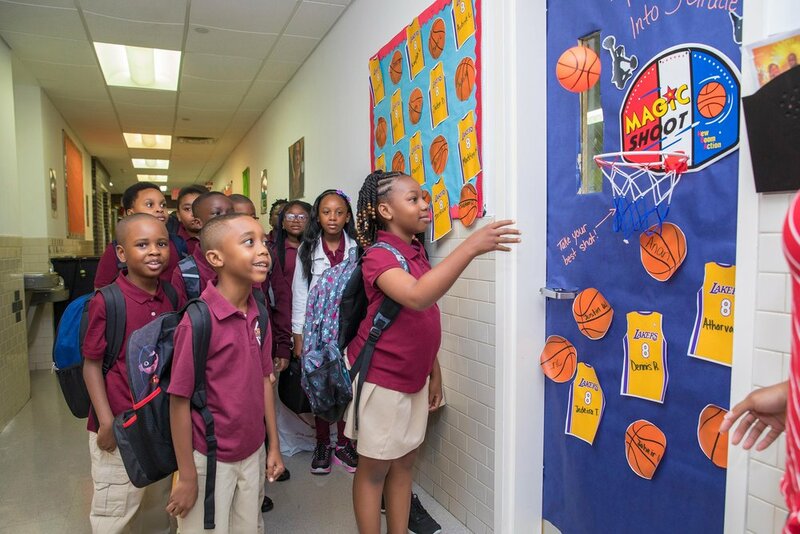 Challenge Charter School hosts its Lottery Night on April 19th. Dance recitals to showcase what the students of Challenge Charter have learned from the Alvin Ailey program will take place in May. Pastor, school founder, and widely-recognized community leader, Rev. Dr. Les Mullings was recently awarded the Queens Borough Spirit Award from the African American Heritage Committee and President Melinda Katz. The award ceremony took place on Monday, February 26th, 2018 at Queens Borough Hall in Kew Gardens. The ceremony recognized community leaders who have made an impact on the borough along with the next generation of young leaders. Rev. Dr. Mullings was also the keynote speaker for the event. After accepting his award, he addressed the crowd admonishing them to encourage and support the young people who are paving the way to a better future. At the event, college scholarships of $1000 were given to a group of 12 exceptional high school students, as well as awards to men and women working across Queens in science, journalism, education, business and more.